Food is the vital element in any celebration or special event, be it wedding related receptions, birthday functions, gatherings, parties etc. For those who love cooking and have a flair for preparing food for large groups or parties, there is a lucrative career choice in the culinary field, i.e a career in Catering service. Catering involves providing food and beverage to guests for any event, on behalf of the hosts. Caterers are cooking experts hired to cook, arrange and serve food. From the initial client-caterer meeting to the big event, catering service involves a lot of planning, preparation, teamwork, creativity and hard work. Catering service provider will do all the food related arrangements for the event, i.e preparing the dishes and drinks according to the choice of the clients; arranging tables, chairs and other necessaries; serving dishes to guests and finally cleaning everything from the spot once the party is over. Growth in this field depends mainly on the quality and quantity of food, services offered and price at which both are offered. 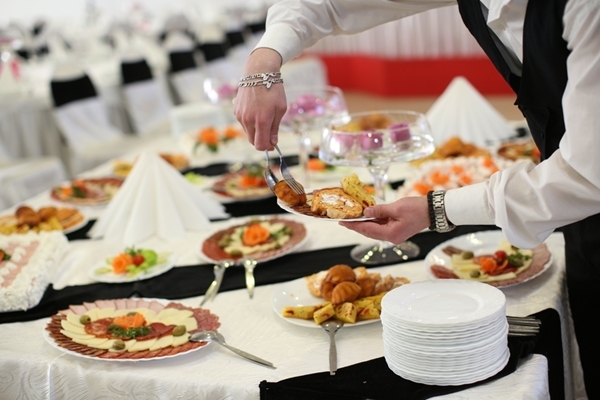 Caterers with a broad range of prices and services, and good reputation have the best chance of finding steady work. Catering can be one of the most rewarding business if you are willing to put in your best effort in cooking and serving. No formal educational qualification is needed to get into the catering field. First and the foremost desired aptitude, is the passion for cooking and a knack for making varied tasty foods. A caterer must have knowledge on how to prepare and serve large quantities of food for big events. They must also know how to market and run a business. Those who aspire to join the catering field, can take up courses in catering technology. Varied courses are offered by different institutions in the field of food preparation & processing, catering technology and other relevant areas of catering field.10+2 or its equivalent is the minimum educational qualification needed for joining any course in the culinary field. Running a catering service requires a lot of hard work and effort. It is a job that involves long, tiring hours in a hot kitchen. So a caterer should have to be physically fit with a good level of stamina. Cooking, food safety, flexibility, creativity, attention to detail, dedication, motivation and hygiene are some of the features that makes one a good caterer. Good understanding of food, organisational and communicational skills, ability to work as a team, timekeeping, politeness are the personal traits required. A caterer must be able to cope with changing plans and situations and willing to work odd hours in holidays and weekends. A caterer initially start their work by meeting with the potential client. In the meeting, they will discuss about the event; date and time; number of guests; types of food and services desired and expenditure. With these guidelines, the caterer makes up an estimate of the actual cost of the catering service and a proposal will be given to the client for perusal. If the client is satisfied, the service is fixed by giving some advance money. After that the caterer will plan a detailed timeline of the event. A caterer has to manage a staff of cooks, servers, cleaners, and dishwashers, while ensuring their team is aware of their schedules, place settings, serving customs, and food safety regulations. Besides these, the caterers have to handle business matters such as accounting and financial planning, marketing and customer relations. On the day of the event, caterers spend time preparing food as well as setting up their wares at the location. Depending on the agreement, the caterers and their staff serve people in buffet style or as they remain seated. After the meal, it is the duty of the caterers to clear the tables of food and clean dishes. Depending on the type and size of the event, caterers may work alone or in conjunction with event planners and/or others involved in the staging of the special occasion. Most of the caterers are self employed or restaurateurs who cater their food as part of their business. Caterers may also work for an event planning company. Those who have no previous experience in this field, can start off their career by working in other food service areas or under an established caterer. With few years of experience, they can establish their own catering service and make more money. Caterers can specialise in a specific cuisine or a home based catering business, or mobile catering business, or stick to specific events or a combination of these. A caterer must have with them all the required cooking equipments, crockery, utensils and other materials needed. For home based catering, a kitchen place must be arranged with necessary settings. Catering service is a lucrative career and a renowned caterer or catering service provider can earn a lump sum amount depending on the service provided for the event. Most of the caterers are self employed and their income is dependent on the number and size of events they serve. The rate is based on the number of people to be served for the event, and mostly is charged per plate according to the dishes served. If you can win over your competitors and maintain quality of food and service, a career in the catering field can be a high income generating source.